President Trump spoke Friday with the parents of American college student Otto Warmbier, who last summer died after 17 months in captivity in North Korea, offering emotional support ahead of his planned summit with dictator Kim Jong Un. The president offered a warm message to the family during their conversation, according to sources familiar with the call, the latest in his administration's personal outreach. Otto's parents, Fred and Cindy Warmbier, have sued North Korea in federal court, charging the Kim regime "brutally tortured and murdered" their son. The call comes as Trump has offered hints that three other Americans who remain prisoners in North Korea could be freed as part of the summit preparations. Trump has made Warmbier's case a key element of his administration's "maximum pressure" campaign, castigating the North for its treatment of him during speeches at the United Nations, the general assembly in Seoul, and the State of the Union address. Fred Warmbier accompanied Vice President Pence as part of the U.S. delegation to the Winter Olympics Opening Ceremony in PyeongChang, South Korea. 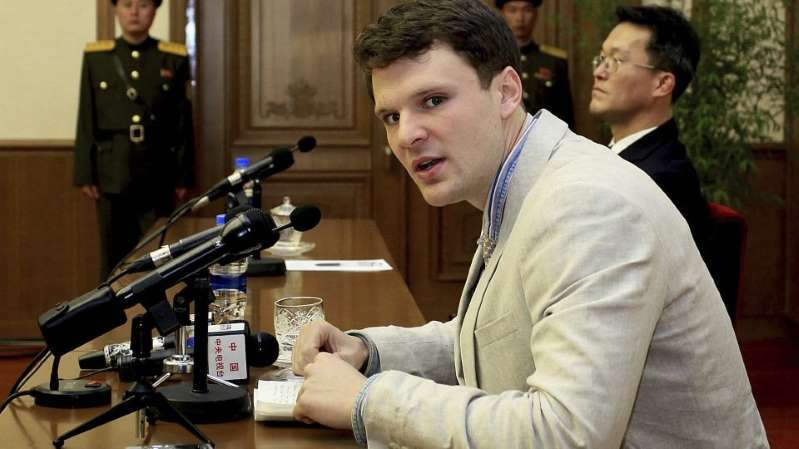 Warmbier was detained in Pyongyang after participating in an organized tour in December 2015 and was held captive 17 months, after being charged with spying for the United States and being coerced into making an on-camera confession. His parents have stated that all the charges against him are categorically untrue. Warmbier returned to his hometown of Cincinnati in a coma and died a few days later. Trump is planning to meet Kim by mid-June to discuss North Korea's nuclear weapons program. He said Friday the administration has finalized a date and location but declined to disclose those details.